I enrolled in November, so I knew I was behind, but not what to expect. I didn’t realize that FLVS is almost exactly like a real school. We have real projects, real classmates, and real teachers, as well as clubs and a yearbook! The teachers are super helpful and always willing to help you if you’re stuck on something, and you can always count on them to respond right away if you need a DBA (discussion-based assessment) or a password to an exam. 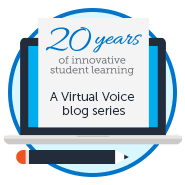 There’s also the Virtual Voice blog which is my personal favorite, where you can read posts like this one and learn about what’s happening at FLVS each month. There are a bunch of fun programs and contests each month, such as FLVS World Fest, Florida’s Black History Month Contest, Literacy Week, and so much more! FLVS is an amazing online school, mixed with the fun social aspect of clubs and programs. 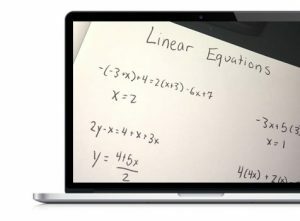 After eight years in a traditional classroom environment, I never thought I would genuinely enjoy any kind of online school the way I enjoy FLVS Flex. I would love to go to Johns Hopkins University when I’m older. FLVS has Advanced Placement college classes you can take to get college credits while in middle or high school. I want to be an invasive cardiologist or a cardiac surgeon because a lot of people have issues with their hearts. I would especially love to be able to help little kids who need heart surgery or a transplant, because every kid deserves a chance at life. In my FLVS science course, I learned that heart attacks are caused by a sudden total clogging of the arteries that give blood to the heart muscle. I also want to find a cure to Creutzfeldt-Jakobs disease (also known as subacute spongiform encephalopathy) when I am older. I really like the American Heart Association, a nonprofit organization that funds cardiovascular research. They are dedicated to the reduction of death and disability from cardiovascular diseases like heart disease and stroke. FLVS Flex is a program I can use while still attending my regular school, and hopefully when I’m researching and testing in the future! 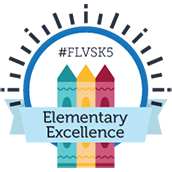 This entry was posted in Student Edition and tagged FLVS Clubs, FLVS Middle School, FLVS Middle School Review, Online Learning, Student Activities, Student Perspective, Student Voice on April 8, 2019 by Guest Blogger. Hi Hindy! I was wondering if you could tell me how to post a blog. Id like to talk more abt what might be possible for my upcoming 7th grader who is too advanced for his science and math classes at his middle school. Id like to know if he can stay enrolled there for instance, but take his math class through FVS and then going forward how my exceptionally bright child can use options to begin college courses as soon as 8th grade.